The face-off between the two e-commerce giants Flipkart and Amazon continues with the Walmart-backed company claiming it doesn't see much relevance for Indian users from the competitor, and Amazon contending that it remains the "most visited and transacted" e-tailing platform in the country. The face-off between the two e-commerce giants Flipkart and Amazon continues with the Walmart-backed company claiming it doesn't see much relevance for Indian users from the competitor, and Amazon contending that it remains the "most visited and transacted" e-tailing platform in the country. Less than three days into their biggest annual sale, both Flipkart and Amazon said they have record-breaking numbers across categories like smartphones, large appliances and apparel and claimed they were way ahead of the other. 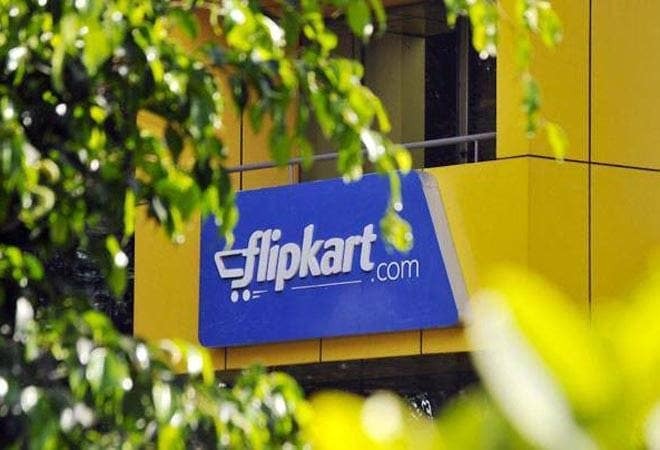 Flipkart CEO Kalyan Krishnamurthy said the company is expecting a big spike in its 'Big Billion Days' sales over last year, helped by increased presence in smaller towns and cities, expansive selection of high-quality private label products and availability of big brands on its platform. Asked if he was worried about competition, he said: "We don't see that much of relevance for the Indian user coming from our competition today...We see them as becoming a global platform for premium Indian books and home goods buyers." He also stated that having a competitor in the market has pushed the company to innovate a lot more. "But outside of that, do we really think...Do we worry about them? On a scale of zero to 10, it is close to zero today," he said. Amazon, on the other hand, asserted that it continues to remain customer-focused and not competition-focused. "Amazon remains the most visited, most transacted, most trusted online marketplace in India. We are particularly excited that our investments in financing solutions, fast delivery across the country, product insurance and warranty, installation on delivery, Hindi as a language option, and other India innovations are paying off as customers across India see us as the destination of choice...," Amazon India Senior Vice President and Country Head Amit Agarwal told PTI. He pointed out that its 'Great India Festive Sale' is already shaping up to be its biggest ever, with three times more new customers shopping with the company for the first time. "...we look forward to maintain this momentum for the rest of the holiday season," he said. This is not the first time the two companies have exchanged warring words. In 2016, the then Flipkart CEO Binny Bansal had said 'selling churan, hing and memberships do not constitute real sales', taking potshots at its American rival. Amazon had countered saying customers shopped for mobile phones, upgraded appliances, bought furniture and fashion along with items like churan and hing on its e-tailing platform. E-commerce companies in the country are estimated to have clocked sales worth USD 1.5 billion (Rs 11,085 crore) in less than three days of festive sale with both Flipkart and Amazon India claiming to be leading the tally.